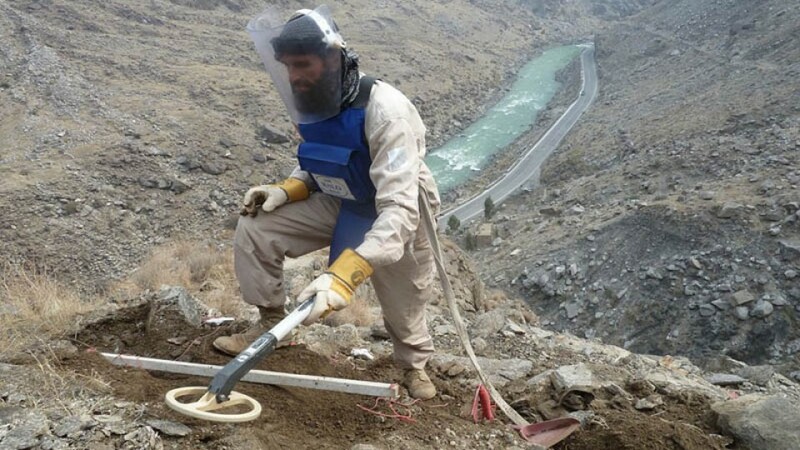 An Afghan official says the Taliban killed at least five members of a demining team in southern Kandahar province. Zia Durrani, spokesman for the provincial police chief, says a sixth worker is missing and his fate is unknown following the attack on Monday morning in the district of Maiwand. Durrani says the de-miners were working for the TAPI national project, clearing a segment for a planned gas pipeline from central Asia that's headed to Pakistan and India through Afghanistan. Meanwhile, Karim Yuresh, police spokesman in northern Faryab province, says the Taliban attacked a district headquarters on Sunday night, burning down about 50 shops in Khuaja Sabz Posh district. He says reinforcements repelled the attackers. Six insurgents were killed and 10 were wounded. The Taliban haven't claimed responsibility for either attack.